The SPEG UV-Pro Beanie Cap is now available in stock! The SPEG UV-Pro Beanie Cap offers moisture wicking, cooling and UV30+ protection for those with medium, short or zero hair. Its tri-panel design offers a good fit for all head sizes and a stylish look. Designed to be worn under your helmet. The SPEG UV-Pro Beanie Cap is manufactured using a combination of CoolDry® fabric and Spandex for flexibility. The CoolDry® fabric combines the comfort of cotton and the quick-dry performance of polyester fabric. It maximizes the transmission of moisture from the skin to the outer surface of the fabric by a combination of special capabilities. The tetra cross channel cross section of the fiber results in weight reduction of 25% when compared to regular polyester. The tetra channel structure of the fiber makes CoolDry® more breathable, which repels the moisture quicker and keeps the body drier and more comfortable. 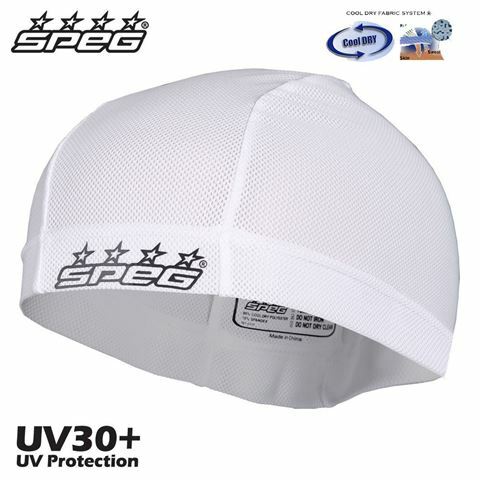 The SPEG UV-Pro Beanie Cap offers a sun protection factor of SPF30+. We still recommend you wear sun block as SPF30+ represents around a 97% of the sun’s harmful rays being blocked (SPF 15 blocks 93%). Its tri-panel design offers a good fit for all head sizes and a stylish look. Don’t be caught without yours! 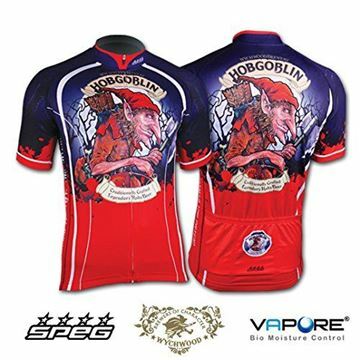 New for 2019 Mens Short Sleeve jersey!